With October being the month of breast cancer awareness, the Gatineau Olympiques and the Canadian Cancer Society have join forces for the annual “Pink in the Rink” game, which will be played on Sunday, October 21, at Robert-Guertin Centre against the Val-d’Or Foreurs. 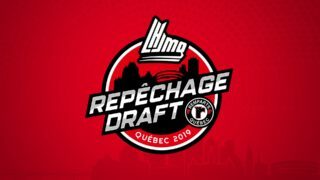 For a ninth consecutive year, each team from the QMJHL will host a “Pink in the Rink” game, to raise awareness for the cause and generate funds to support the fight. 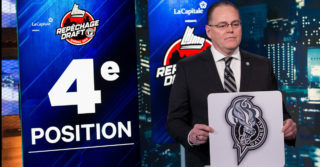 This season, the Olympiques, in collaboration with the Canadian Cancer Society, have created a few different initiatives to reach as many people from the Gatineau area on this special day. Hockey Fun packages, which offers two tickets for the price of one, are now on sale at the C.C.S. head office (15 Buteau, Office #105) and will be available as well during the Olympiques’ upcoming home games on October 10, 13, 14, and 19. Portion of the profits from those sales will go to the C.C.S. A Mystery Pucks promotion will also be launched next week when the team will be back in Gatineau. Fans will have the opportunity to meet a player after the game if they get a pink puck signed by one of the Olympiques players. Pucks will be available at the cost of $5 for one and $10 for three. 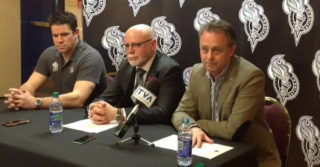 Also, a promotional campaign with members from the Olympiques whose lives have been touched by cancer will be launched shortly and the public will be invited to join them by sharing the video and by using the hashtags #IPlayFor or #JeJouePour on social media. Tickets for the “Pink in the Rink” game are available at the Robert-Guertin Centre’s box-office or online at www.ovation.qc.ca.